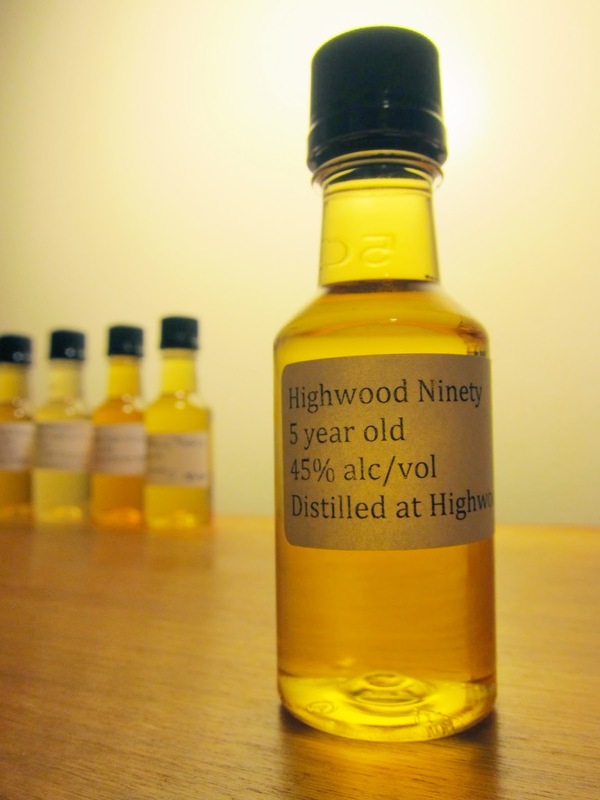 Highwood Ninety 5yo (45.0%): And the next sample I pick from the #DavinTT2 Canadian Whisky prize basket is coming from Highwood Distillery. The distillery is founded in 1974 under the name "Sunnyvale" and was renamed as "Highwood Distillers" in 1984. It is located in the town of High River, Alberta and you might remember the sad news about the distillery getting totally flooded last Summer. The staff had to be rescued by helicopters and the majority of their whisky got washed out by the flood waters. They are recovering slowly but surely and are back to production. The distillery has a huge line-up of whiskies, rums, vodkas, gins, liquors add some other oddities which makes me feel a little worried about the attention and time they spend for their whiskies but they do have a good reputation indeed. Color: Rich yellow gold, oak aged Chardonnay. Nose: Hike on a hot summer day in a stone pine tree forest: young, earthy and fresh. Toasted pine barks under the sun, dried pine cones on the ground and resin gum. Hardwood shavings, shredded tobacco leaves, toasted rye and fire place ash. Palate: Sharp but in a good way, maybe the right word would be vibrant. Rye spiciness, cinnamon sticks, heavily charred oak and roasted pine nuts. Black garden soil, cream soda and barbecued corn on the cob. Finish: Strong but not so long. Anise seeds, paprika, cardamom seeds and toasted oak. Overall: It very much resembles the ultra small barrel experiments of American craft distilleries: strong and dominating wood influence a little overpowers the whole picture but the core of the whisky is still pretty damn good. I have to say that even at this age it is very enjoyable but I cannot stop thinking how this spirit can shine in a bigger or less active barrel when not being rushed. The layers of flavors need to fight hard against the woody notes in this expression. They will win but need more time. I am excited to taste older expressions from the distillery.